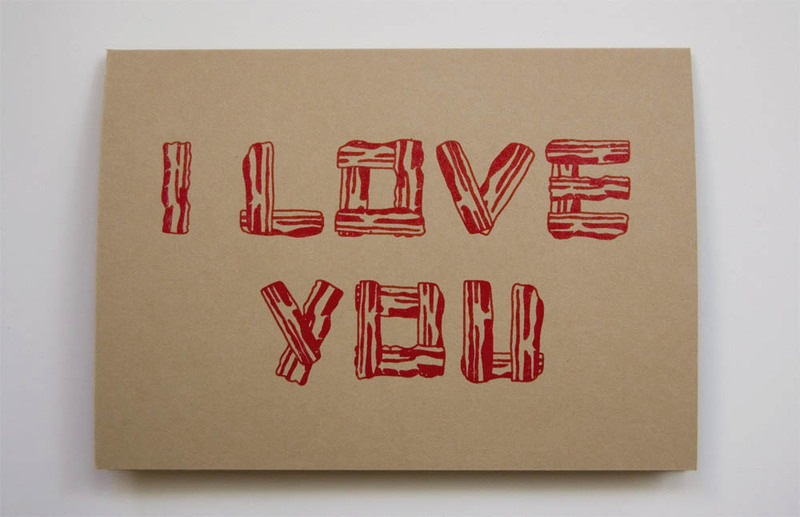 Today I printed 112 “I love you…even more than bacon” cards for Valentine’s Day. I’ve made these before, but this time I decided to try them at a smaller size which required burning a whole new screen. I also tried a new rougher, recycled brown bag paper. I wish they were a bit sturdier, but I like the more “rustic” feel they have now. After all, bacon ultimately comes from the farm, right? I’ve finally managed to get the process down so that I can afford to wholesale these now, so I may approach some local vendors this week about consigning. If you’d like one for yourself, they’re available in the Sweet Meats Etsy Shop. Today’s instruction is: make a personal, handcrafted valentine for someone you love. 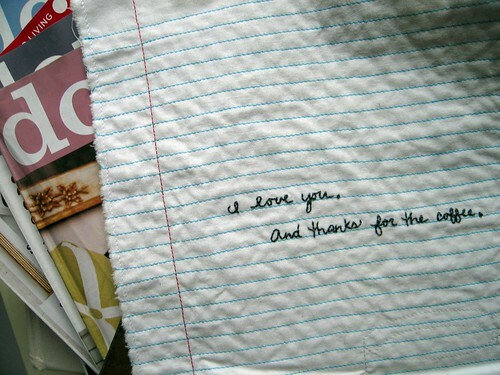 Your inspiration for today is this embroidered love note on looseleaf “paper.” There are many examples of these on the web, but I like how this one also shows gratitude. By Flickr use kristenaderrick.